Back in November, there was a deal for a Southwest Airlines flight from Hartford to Orlando for $190. There were two real options coming from booking the flight. Either I was going to be lucky enough to be in the MLB Fan Cave top 50 (or 52) or I was going to be lucky enough to spend five days with my grandma. Unfortunately for grandma, she got bumped to just a Valentine’s Day visit, but she couldn’t have been more understanding. As I sit here in a nearly empty Champion Stadium at Disney’s Wide World of Sports, I can honestly say that this was the most incredible vacation and experience I’ve ever had. I had no idea what to expect when I landed in Florida. Would I be able to get field access? (sadly, no) Would the players even come talk to me? 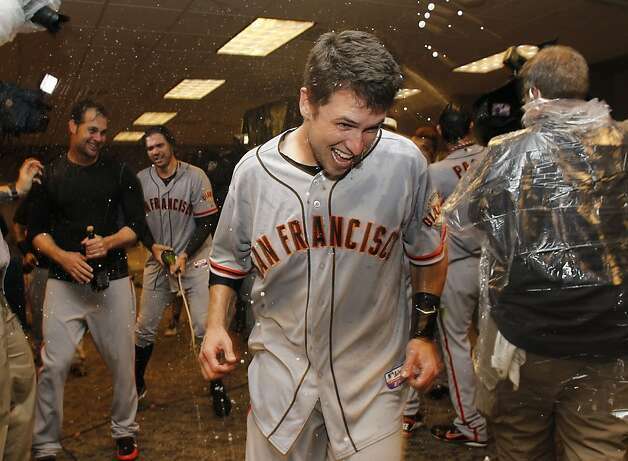 (strangely, yes) How quickly would I have to explain the MLB Fan Cave for them to do something? (I think I have that down to a science) Would they agree to do a video of any kind? (also strangely, yes) Luckily, I had some success keeping it short and simple. Plus, the phrase “Brave in the Cave” is pretty easy to remember. Every day I came to the ballpark, I was one of the first fans to arrive and always the last one to leave. I think the players might’ve gotten sick of seeing me. The first hour of the first day, I was able to snag video endorsements from Cristian Bethancourt, Evan Gattis, and 3rd base coach Brian Snitker. I was off and running and never looked back. I couldn’t believe how nice everyone in the organization was. The key I believe is just having confidence, the worst they can say is no, there’s no risk with a ton of reward. General Manager Frank Wren was so nice and I thought was he said was hilarious. Staying late also proved incredibly effective. There were promotional photo shoots going on after the workouts for Jonny Venters and Eric O’ Flaherty that turned out to be fantastic for me. You can tell that these guys joke around a lot. Wednesday was the big day. The top 30 announcement for the MLB Fan Cave would be coming down after voting ended at 5PM. I knew if I was going to anything to keep momentum up and score some late votes I’d have to hustle. At 8:30 in the morning I spotted ESPN’s Buster Olney doing a spot on SportsCenter. I knew I had one connection with him. I attended his “Going to Bat for Vermont’s Farmers” charity event last November. Surprisingly, no one was around. I went up to him, explained that I had gone to the event and that I was in the top 52 for the MLB Fan Cave. He said that he tries to stay out of those things, but because I had gone to the charity event and was a fellow New Englander, he’d throw his support behind me. I couldn’t even believe it. Finally on Wednesday, just two hours before the deadline, Braves star pitcher came out for a promotional photo shoot. I had brought a new Braves hat to Orlando with me in hopes that Meds would break it in. He was nice enough to! I got the video up with 90 minutes of voting time to spare and put it on Twitter. It was retweeted by the Braves, Jason Heyward, and Paul Maholm. The Medlen video was the final piece in the puzzle that advanced me into the top 30 for the MLB Fan Cave. I yelled in the middle of an empty Champion Stadium because I was so excited and honored to make it to the next round. Well the stadium was empty except for the grounds crew, who think I’m crazy. When the top 52 announcement came down, Braves pitcher Paul Maholm was nice enough to retweet the news without me even asking. I contacted him through Twitter and then talked to him Tuesday about pulling off a creative video. He agreed and “Paul Maholm Connects with the Mahomies” was born! It’s my favorite thing I’d done so far during this MLB Fan Cave experience. Maholm could not be a nicer individual. There were a few players who weren’t comfortable doing a quick video, but were nice enough to sign cards for me to giveaway to fans on Twitter, including Craig Kimbrel and Mike Minor. I did take one “off day” in Florida. The aforementioned Valentine’s Day with grandma in Daytona Beach. Even then the off day consisted of putting together a “thank you video” for Braves fans support at Jackie Robinson Ballpark. I even learned a thing or two, like Robinson wore #9, not #42 with the Montreal Royals when he played the first integrated spring training game on 3/17/1946. The last day in Orlando, I wanted to take advantage of Tout, a newer social medium, that allows users to tape 15 seconds videos and send them out with tweets. I used it all week to get Braves fans a firsthand near live look at the goings on of Braves camp, with almost no delay on Twitter. It’s one thing to say what the players were doing, it’s even better to show them. I think Tout would be a great use in the MLB Fan Cave this season, especially to have fans on Twitter ask players questions and send them back personalized 15 second videos answering it. It would be a fantastic way to continue the growth and connection between players and fans in the MLB Fan Cave. Which bring me back to the MLB Fan Cave. I’m so stoked to be heading to Arizona on Monday for the top 30. I’ve done everything I can for this opportunity and I hope that it shows. It’s been an honor to represent Braves Country so far and I hope to continue on for the whole MLB season in the MLB Fan Cave. 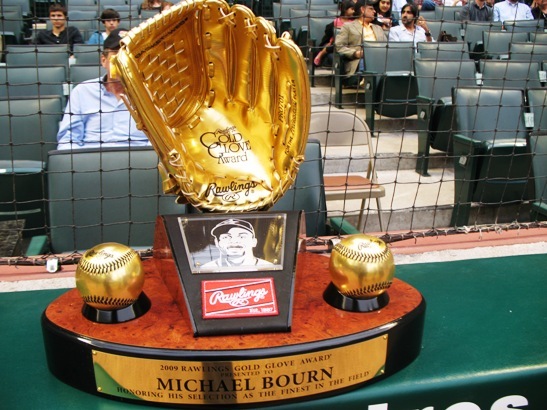 Thanks again for all of your support from Braves fans, players, and management! I think they’re ready to kick me out of an empty ballpark again! Back to Connecticut for two day to repack and I’ll see you in Arizona! Ever since B.J. 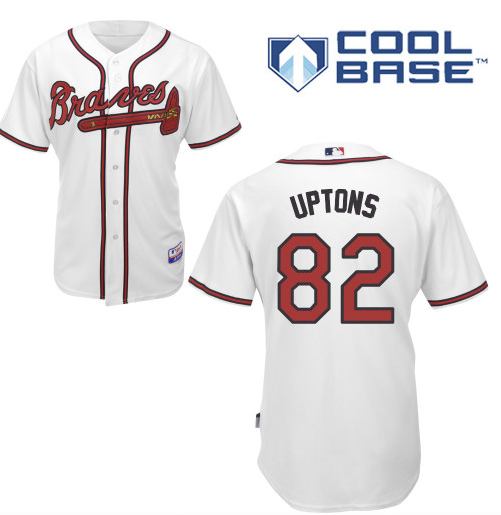 Upton signed a 5-year, $75.25 million deal to become the Braves center fielder there was a glance over to left field in Atlanta and who would fill that spot. 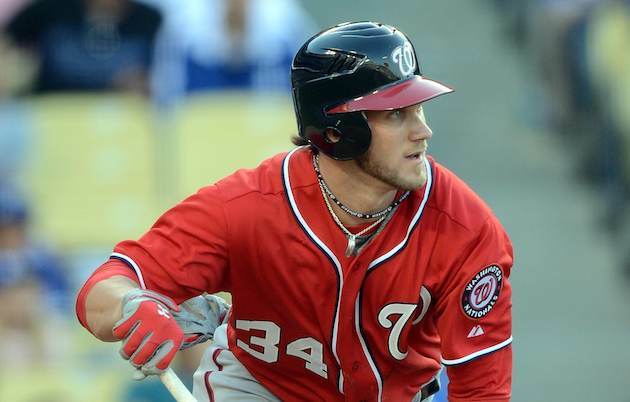 The obvious choice was Upton’s brother, Justin, who was coming off a down year in 2012, but was still a MVP-candidate caliber player that had not yet entered his prime. The two brothers had been on the record saying that they would love to one day play with each other. After nearly two months of rumors, trade rejections, fans coming up with fake trades (sorry I tried to trade you Julio Teheran), and the refusal to trade Andrelton Simmons, the trade Braves fans hoped for, finally happened. The trade though did not look like a deal that any Braves fan expected. Let’s take a look! Braves Country was worried about Andrelton Simmons being a part of a a deal for Upton for months, but in the end it was fan-favorite Martin Prado that makes his way to the desert. Prado was arguably Atlanta’s MVP in 2012, however they couldn’t come to an agreement for 2013, leaving just one-year left on Prado’s contract. That made him expendable in GM Frank Wren’s eyes as including Prado in the deal saved them from losing their top prospects in Andrelton Simmons, Julio Teheran, Sean Gilmartin, and Nick Gattis. Delgado would have been in contention for the 5th spot in the rotation with Teheran and would’ve become a crowded rotation with the impending return of Brandon Beachy from Tommy John surgery. You can never have enough pitching though. What does Atlanta get in Justin Upton though? 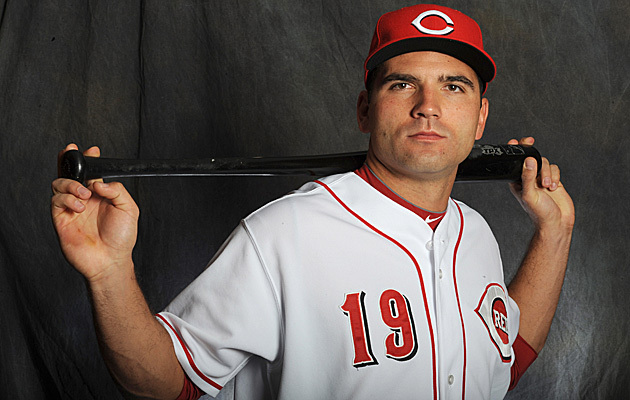 The younger version’s numbers dipped in 2012 after putting up a campaign in 2011 where he finished 4th for MVP and picked up his 1st Silver Slugger. Upton’s OPS dropped from .898 to .785, while his OPS+ went from a career-best 141 to a career-worst 107. A change of scenery was needed and what better place is there than playing along side his brother. There was a slightly contentious relationship between Upton and Diamondbacks manager Kirk Gibson that made have played a part in the numbers drop. 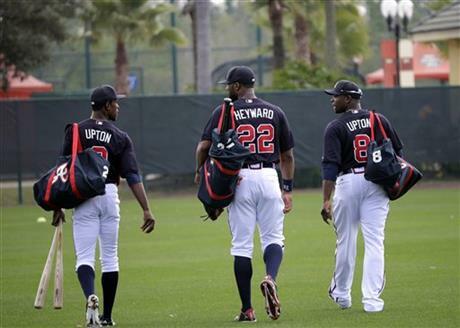 The new Braves outfield of Upton, Upton, and Jason Heyward will grow together over the next three years of team control. That’s really what made Justin Upton an attractive trade piece for the Braves, three years of team control vs. one year for Prado. 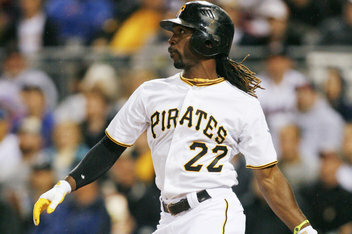 If he returns to his 2011 form, the Braves will win this trade hands down. Also included in the deal to Atlanta is Chris Johnson. 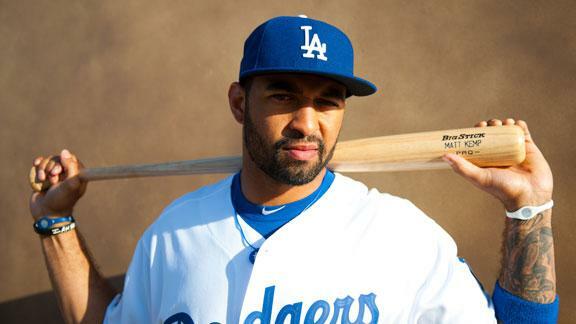 Johnson may be called on to replace Chipper Jones at third base or at least platoon with Juan Francisco. Johnson is coming off a career-high in home runs and RBI’s. Playing for a winning team after spending 3.5 seasons in Houston and half of a season in Arizona might help Johnson continue to grow as he enters his age-28 season. Arizona was clearly willing to part ways with Upton, but did they get the best deal possible? 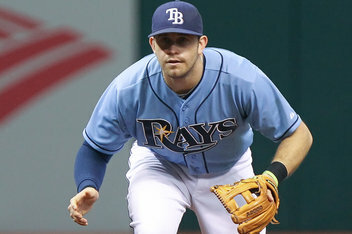 Prado is an All-Star caliber player and maybe they can come to an agreement on a long-term deal. The team leadership that Prado will bring to the clubhouse made him even an even more attractive piece for the Diamondbacks. The leadership factor is what turned them off of Justin Upton. Twenty two year-old Randall Delgado will battle to make the rotation this year (and probably succeed), but could turn into a front-of-the-line starter down the road. Delgado has a 3.95 ERA in 127.2 MLB innings. Zeke Spruill and Nick Ahmed are mid-level prospects, but were going to get backlogged in the Braves system at the starter and shortstop positions. Brandon Drury had a rough 2012, hitting only .229 in single A after crushing rookie ball. 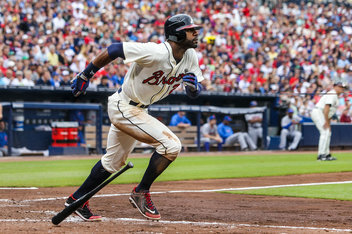 Arizona will hope the Braves have a repeat performance of the Mark Teixeira deal, in which they gave up Elvis Andrus, Neftali Feliz, Jarrod Saltalamacchia, and Matt Harrison.